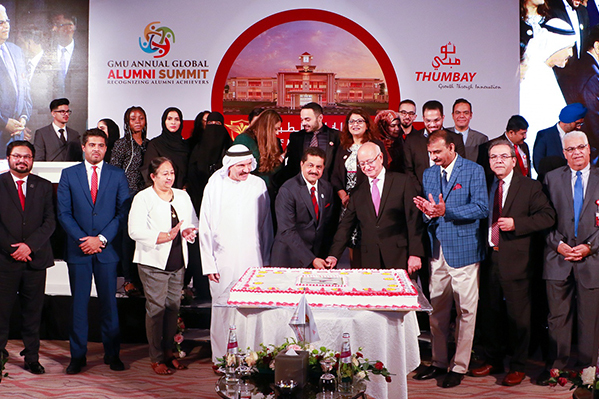 Alumni of Gulf Medical University (GMU), Ajman, the leading private medical university in the Gulf region, got together at Ajman Saray Hotel to celebrate their achievements at the ‘GMU Annual Global Alumni Summit’ on 27th November 2018. 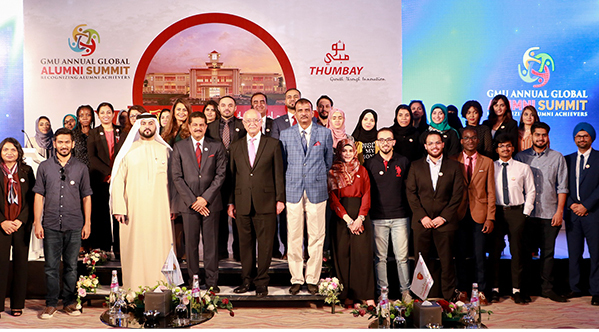 Dr. Thumbay Moideen – Founder, President Board of Trustees GMU was the chief guest of the function presided by Prof. Hossam Hamdy – Chancellor of GMU. Thirteen outstanding achievers from among the alumni were honored by GMU, in recognition of their accomplishments. 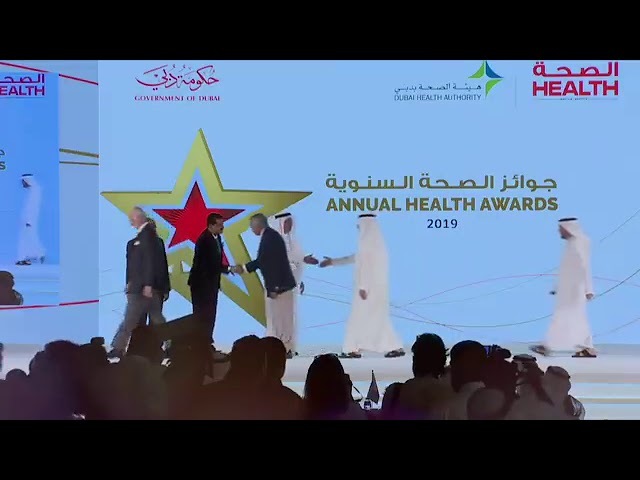 The awards were presented by Dr. Thumbay Moideen. 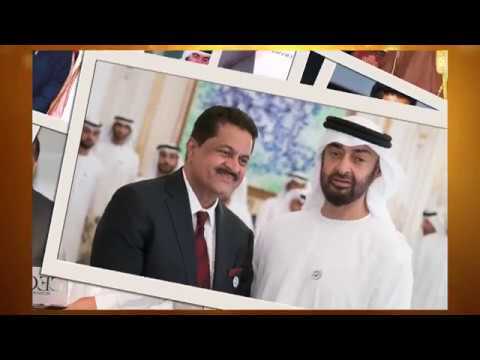 The alumni members honored Dr. Thumbay Moideen with a special memento. A cake-cutting ceremony was also organized as part of the event, celebrating GMU’s successful completion of 20 years of excellence in medical education, healthcare and research. Addressing the alumni, Prof. Hossam Hamdy said, “You are the role-models for our students and we at GMU are proud of what you have achieved in your careers. Your accomplishments inspire the students of GMU to dream big.” Further, he explained the University’s growth in recent times, with 6 colleges and 25 accredited programs currently under GMU. 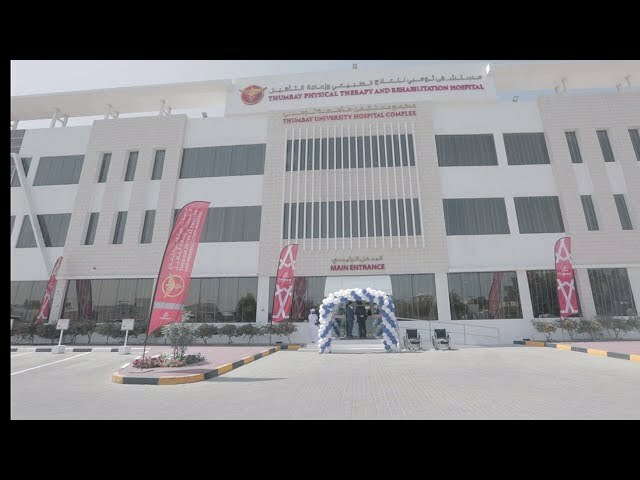 Dr. Waleed, an alumnus working in the UK addressed the gathering on behalf of the alumni members and expressed their gratitude and appreciation for Gulf Medical University’s role in helping them build a successful career in healthcare. “We are proud to be the alumni of GMU, and are happy to see the University growing,” he said. He also moderated the panel discussion of alumni members. Earlier, Prof. Manda Venkatramana – Vice Provost Academics, GMU, welcomed the gathering. The event was an occasion for GMU alumni members to network and share their experiences, at the same time, discuss the new trends in medical education and the healthcare industry. A few of them shared their success stories, challenges faced and their highest achievements before the audience comprising of GMU students, faculty and fellow alumni. The event also gave current students the opportunity to interact with the alumni from different parts of the world, gaining insights into different professional scenarios and information on career prospects round the globe. Established in 1998, GMU was the first university in the region to accept students of both genders and of all nationalities in all its departments. 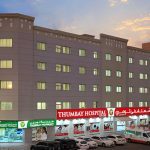 The University focuses on three main fields: medical education, healthcare, and research. 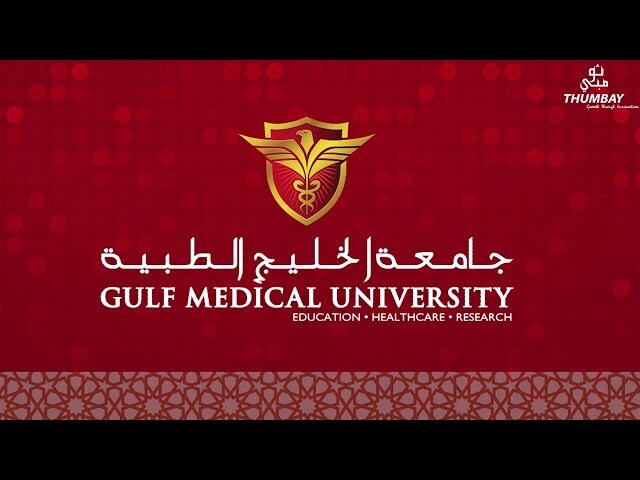 GMU is one of the most popular medical academic establishments in the Gulf region, with 6 colleges, 25 accredited courses and advanced infrastructure and facilities. 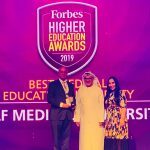 GMU has been ranked among the ‘Top 50 Universities in the Middle East’ and is also listed among ‘10 Best Value Institutes in the UAE 2018’. 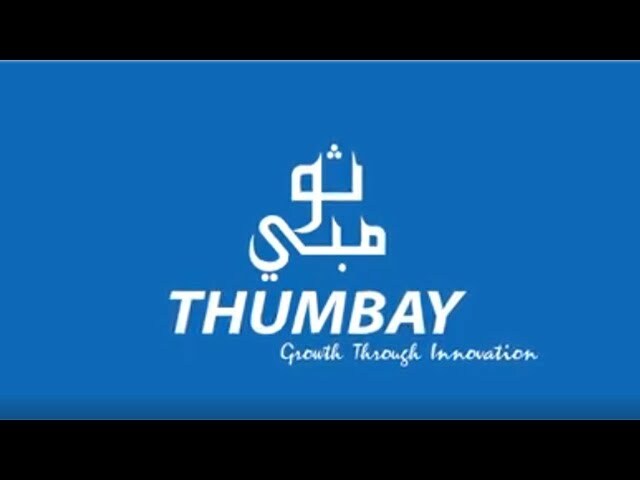 It won the Gold Award at the prestigious Sheikh Khalifa Excellence Awards, 2018. It has students from 80 nationalities and faculty/staff from over 25 countries. GMU organizes international and regional conferences and seminars in all medical fields.